Life is a bit of a juggling act; sometimes you’re flying high with a couple of ping-pong balls, at other times you have a never ending supply of basketballs to juggle. For many small business owners like me, it can often feel like the latter, with competing demands placed on our time. I believe collaboration is the key to becoming better at the balancing act. As a small business owner I have often had to divide my time between managing staff, balancing the accounts and keeping up with customer demands. Take your eye off the ball, and you worry that it will be left with no one there to pick it up. And this may be the reason why smaller businesses are less likely to train or even include skills development and training in their business strategies. So how can collaboration help? While continuing with your usual juggling routine may be familiar to you, it may mean you’re missing out on a few new tricks, and failing to make an impact. And it’s the same in business. Not thinking strategically about the skills needed to develop your workforce and adapt to new business models can restrict your business growth. And this reflected in stark figures from UKCES showing that firms that do not train are twice as likely to fail compared to those that do. I say it’s time for SMEs to shake up their routine by working across their sector, region or supply chain. Forming partnerships with training providers, employer bodies, suppliers, and even competitors can be very powerful, as can involving employees to find the best ways to tackle skills shortages and meet their training needs. The chances are that other SMEs will be experiencing the same types of issues as you, so why not share the load? This is exactly what one SME did. Specialising in shore-based facilities for the construction of the UK’s largest wind farms, AJ Woods Engineering based in Harwich Port realised that skills issues were holding them back. Despite high local unemployment, most of their workers came from outside their region. They decided to collaborate with other employers in the area to help get local people into work using apprenticeships, work placements and a new skills passport. This involved ten local SMEs working as a consortium, with up to 30 more employers identified as having the potential to come on board later. And with a mix of employer investment and around £850,000 Employer Ownership funding via UKCES, they were able to pool their expertise and work together for the first time to develop a programme of skills development, shared work experience and support for new entrants to the sector. It’s clear that a shared approach can make a bigger impact, and while it takes time and effort, it can bring about real growth in their sector or business area. So I urge small businesses to look around their locality, business area or sector. 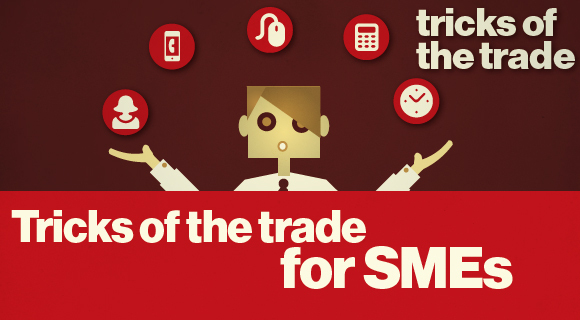 Are there any SMEs juggling competing demands like you? Are there pressing skills issues that could benefit from a collaborative approach? As round two of the Employer Ownership pilots take hold we’re keen to get bids from groups of SMEs or SMEs working in partnership with larger business that are able to demonstrate strong leadership, but also willing to play a role in leading and shaping the specific skills needed by smaller businesses in collaboration with others. I know that the pressures of work can be even more intense in a small business than a large one, but the prize is so great, this is one extra ball worth juggling.